Truthfully speaking, although the anticipation of Anthem is very huge, it seems to mainly originate from its one unique feature, the Javelin suits. A great many questions have been asked lately and a lot of questions have been addressed by the developers as well. Among the latest details revealed so far, there is one that is quite appealing. Turns out surviving Underwater In Anthem could be quite tricky. Lately, the Executive Producer of the game Mark Darrah has been answering a lot of questions asked by the fans, among which was the question, can a player drown if he stays underwater for too long, and that is while he is wearing the Javelin suit? To this, Darrah replied with a yes, apparently if you stay for too long Underwater In Anthem you will drown, provided the fact that you would be wearing the Javelin suit. Not only does this detail define the level of difficulty that we may face in the game, but it also shows how intense the experience would be. That said, this is not the only detail that has rolled out about the game, or those Javelin suits. Very recently another information regarding the game’s environment has also been revealed, as well as many small details about the suit, that talk about gender variations for Javelin, its types, its movement speed, fall damage and much more. 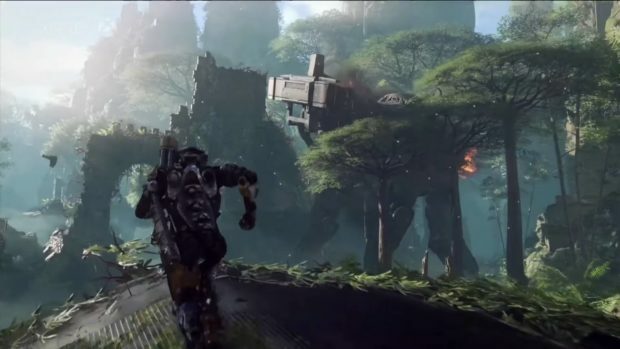 About the environment of the game, the game director Jonathan Warner has confirmed, that fans can be confident about the environment of the game to be quite interactive. In fact, players will have a lot to explore in the open world of the game. Let’s hope that is the case because fans might not be able to handle any type of disappointment. Anthem is currently in development at Bioware and is slated for February 22, 2019, for PC, PS4, and Xbox One.